There is a basic human tendency to seek comfort in the known. There’s something undeniably comforting about a restaurant with a familiar menu that reflects prior taste experiences. Sari Filipino Chicken Lechon clearly understands this concept of seeking comfort in the familiar. 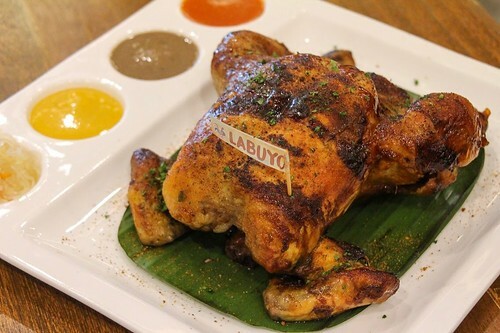 Chicken lechon may be the underdog of Filipino cuisine, but in Sari Filipino Chicken Lechon, it definitely is the frontrunner. 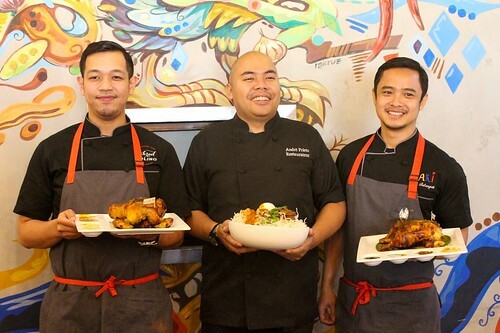 While most progressive Filipino restaurants take pride in their versions of pork lechon, crispy pata, and kare-kare among other pinoy fiesta staples, Sari lets us savor the simple, familiar taste of Filipino chicken lechon. 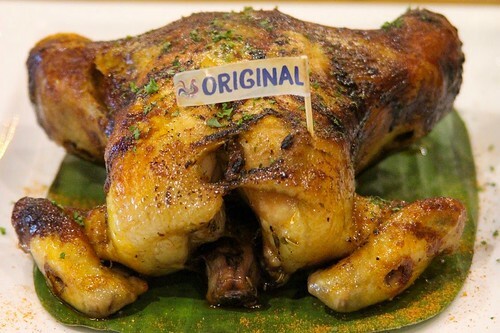 Lechon manok easily mirrors past experiences most of us have had. We remember good old college days when Senior Pedro was the default sobering up food. We are reminded of potluck parties in school or at work when we would call dibs on bringing Andok’s or Chooks To Go. 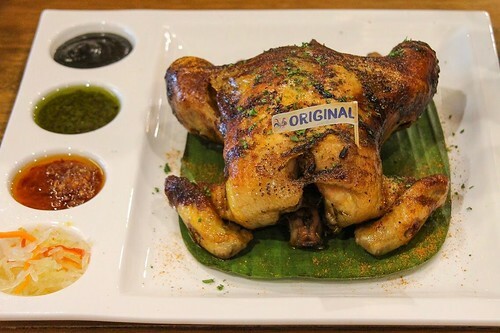 We are transported back to those nights we would come home late and the mere smell from the neighborhood roasted chicken stall becomes a simple reward for the long, tiring day we’ve endured. 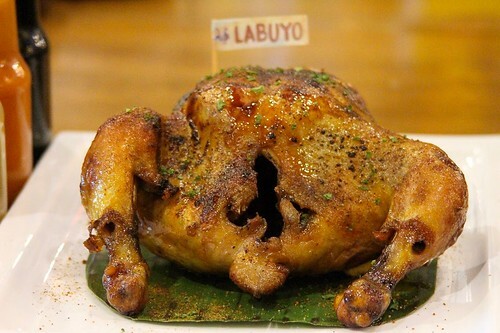 As the restaurant recognizes that our fondness for familiar tastes is determined by our genetic makeup, their lechon manok only has two variants: original and labuyo (chili). 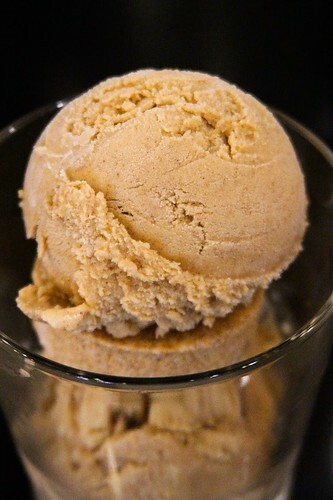 These unassuming flavors are widely recognized and used in Filipino restaurants and households alike. The original chicken lechon is a most welcome upgrade of the neighborhood lechon manok we all have come to love. 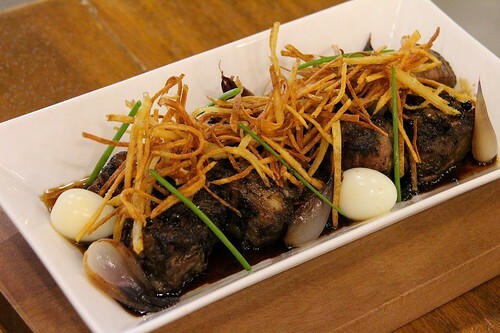 Its meat is tender and tasty as it is, and made even more flavorful with Filichuri, Green Sili, and Labuyo-Garlic sauces served on the side. 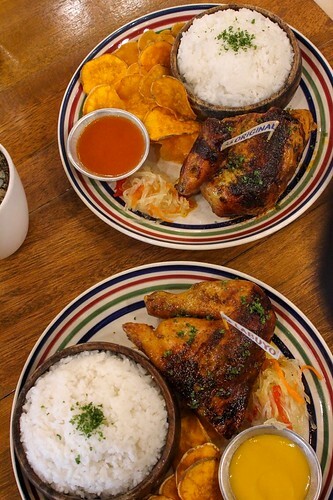 The labuyo (chili) chicken has an ample amount of spiciness that serves as a good enough excuse to order extra rice. To counter the spiciness, it comes with Sari’s Secret Sauce, Lechon Sauce and Mango Ketchup which all have subtle hints of sweetness. Filipinos live for dipping sauces; no one would dare contest. 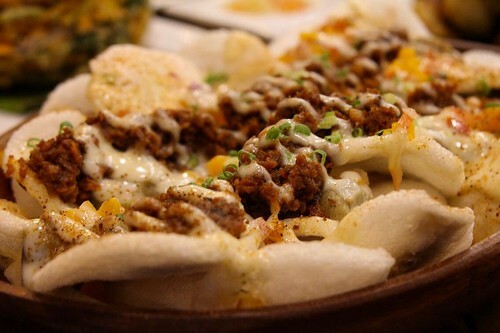 Suka, toyo and patis are almost always on the average Filipino family’s dining table regardless of the dishes served. 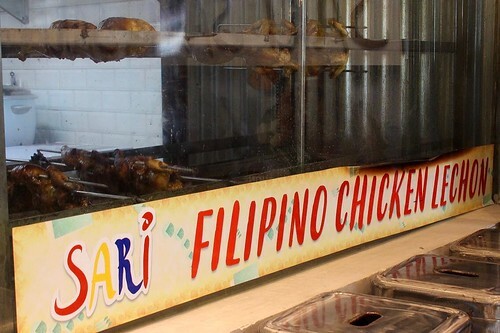 Sari Filipino Chicken Lechon offers fresh, local, and original recipe sauces that complement their signature dish. 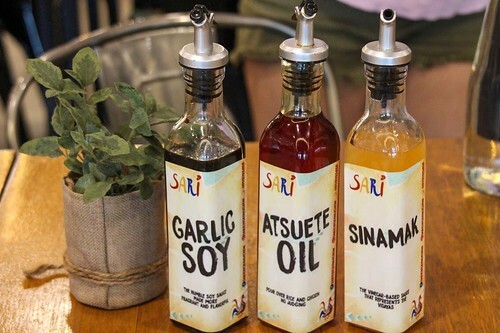 Apart from the Filipino Sauces that come with each order of whole chicken lechon, each table is adorned with bottles of Garlic Soy, Atsuete Oil and Sinamak. 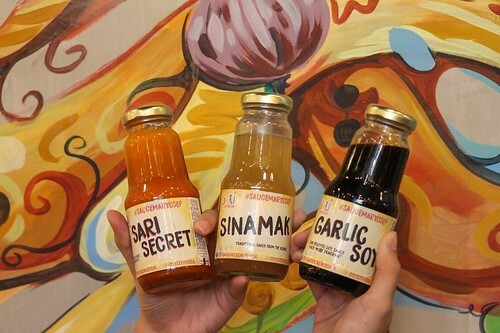 The bottled sauces are also for sale: #saucemaryosep hoard! 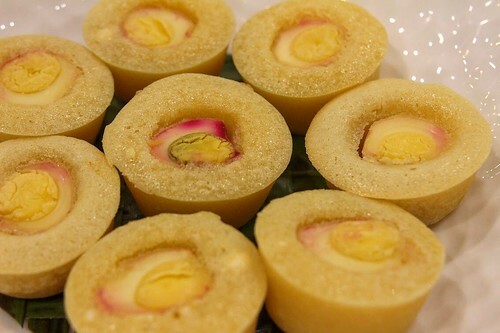 Korean cuisine is noted for the variety of side dishes that are included in every meal. 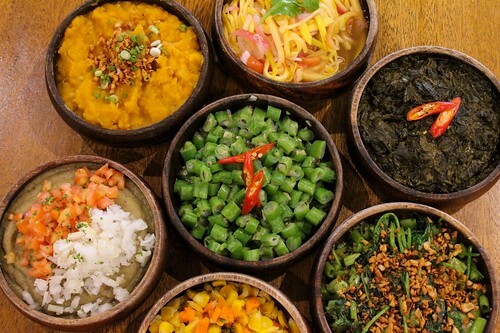 But did you know that Filipino cuisine also boasts of a number of distinct sides? 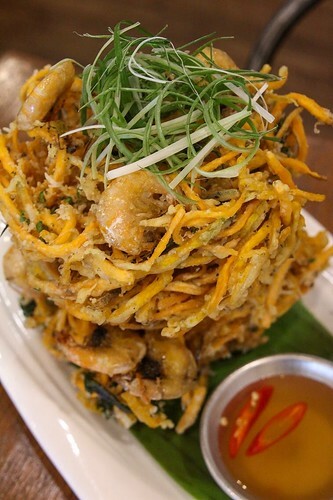 The restaurant makes Traditional Sides from fresh and local ingredients only. 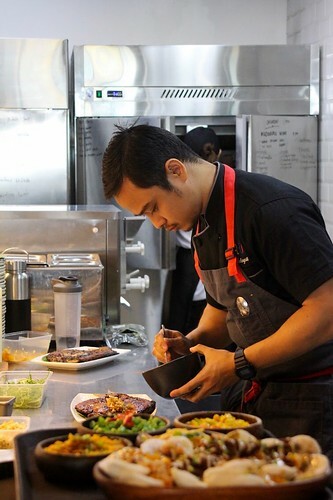 That’s a plus point for sustainable dining, and for the lola and tita home cooks who swear by local produce. 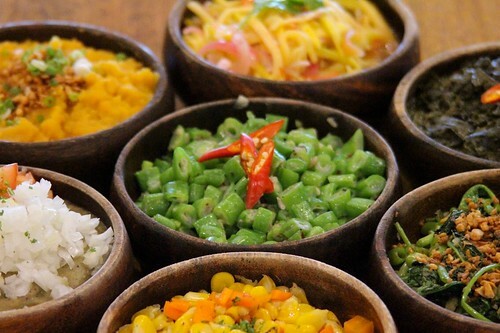 Diners on the no-rice-but-other-carbs-are-allowed diet can have these as rice substitutes: Ensaladang Talong, Gising-gising, Bicolano Laing, Mashed Kamote, Garlic Kangkong, Ensaladang Manga, Grilled Corn & Carrots, and Kamote Chips. Some side dishes could use a little more sauce, though, to go perfectly with the drier meat dishes. 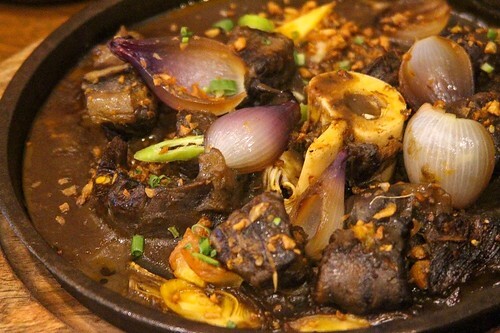 The restaurant may have “chicken” in their name, but they also have delectable beef versions of well-loved dishes like Adobo, Pares, and Sizzling Kansi. 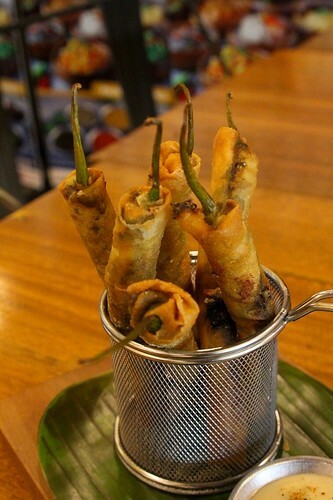 There is a good selection of appetizers and Filipino Favorites, and the clear winners are Kropek, Dynamite (chili and cheese sticks), Shrimp Okoy, and Betamax (grilled chicken blood skewers). 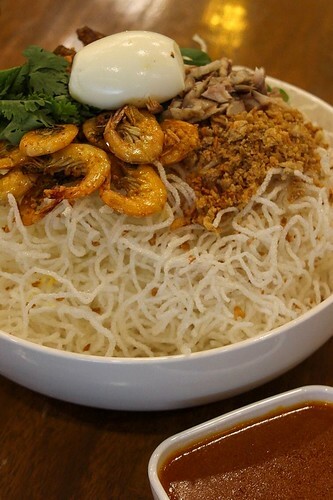 Palabok paired with Bibingka can be a snack or a meal in itself depending on the degree of hunger. 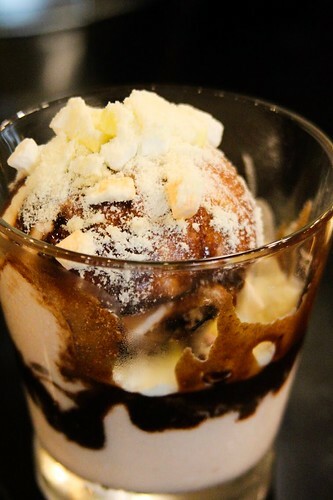 Always save room for dessert, as no Filipino meal is complete without sweets. 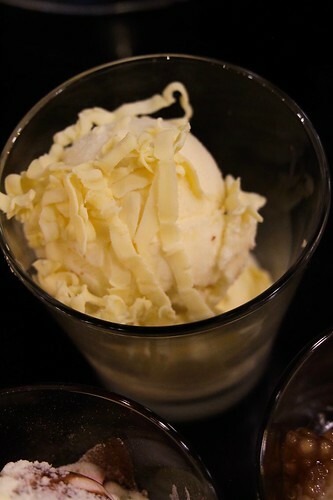 Their original ice cream creations would bring back fond childhood memories of eating street food after school or spending lazy summers at lola’s ancestral house. 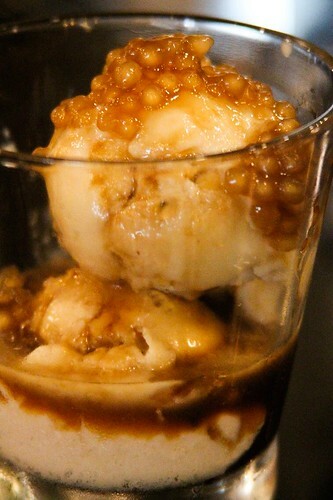 They have Tablea, Yema-Polvoron, Taho, Scramble, Cheese-Langka, and Latik. 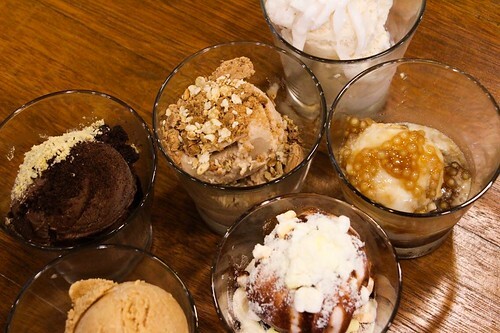 It might be difficult to choose just one, so better order all 6 for sharing. 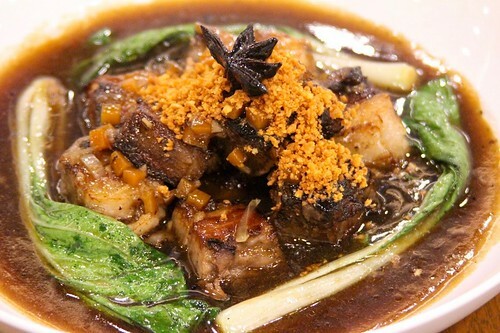 The next time you have a strong craving for familiar Filipino tastes but don’t have enough time to cook up a feast, need we tell you where to go? Reminisce about previous taste experiences, and create new exciting ones over lechon manok and other traditional Filipino favorites. 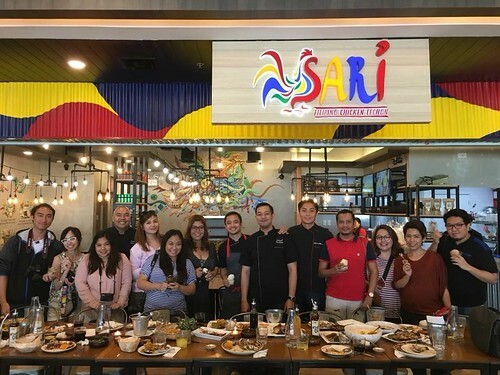 Bring your balikbayan relatives and the whole barangay to Sari Filipino Chicken Lechon located on the 3rd Level, Upper Veranda of Robinsons Galleria.